If you're wondering what to do with the kids during the school holidays, here's an option that's bound to be a hit with the young ones. Pacific Werribee - Cnr Derrimut Rd & Heaths Rd, Werribee is celebrating the launch of Despicable Me 3 for two weeks, Monday to Friday (no weekends) from 3 to 14 July 2017. This is a free event and please note, it does not include a movie session. 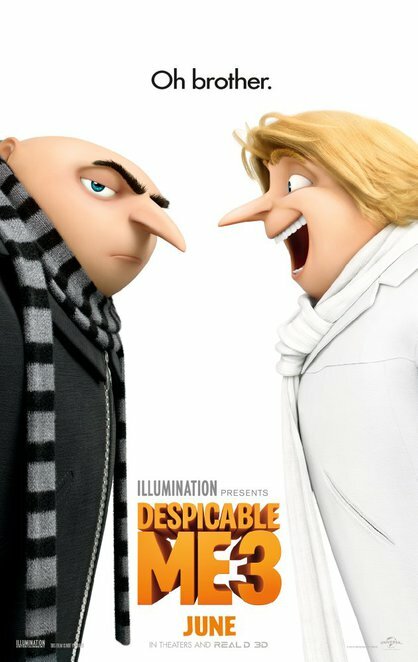 There'll be a Despicable Me 3 Activity Centre (Monday 3 to Friday 7 July from 11am to 2pm) that includes a Character appearance by Jerry, and a Despicable Me 3 Minions Meet & Greet (Monday 10 to Friday 14 July from 11am to 2pm) with Characters Dave, Gru and Mel. Just be at the Centre Court for a fun time! Check out Pacific Werribee's website for other events like the meet and greet of Freya & Ralf from the Sylvanian Families at Toyworld on Saturday 15 July 2017. Robinsons Bookshop also runs a children's storytime for free for preschool aged children (with parents present) every Monday at 11am; excluding public holidays. Check out their other special offers while you're at it, and discover there's more than just shopping at the Centre.